Signed l.r. 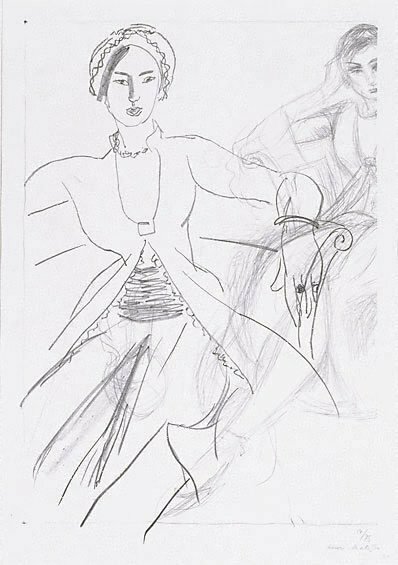 sheet, pencil ".../Henri - Matisse". Not dated. Peter Raissis', Look: 1953-2003 celebrating 50 years , 'European works on paper', p 56, Sydney, May 2003, p 56, illus p 56. David Tunny, Look , 'Benefactors fill funding gap for gallery', pp 22–23, Heidelberg, May 1996, p 22, illus p 22.